The Family Engagement Framework is designed for school districts and schools that are developing and expanding school/family partnerships to support student achievement and close the academic achievement gap. A collaborative effort between the California Comprehensive Center (CA CC) at WestEd and the California Department of Education (CDE), this tool provides guidance to educators, districts, schools, families, and communities as they plan, implement, and evaluate strategies across programs for effective family engagement. The CA CC did a thorough review of literature showing a strong link between parent involvement activities and student achievement. The research is summarized in the Framework, along with specific examples of what schools, communities, and parents can do to help students succeed. This 2014 edition of the Family Engagement Framework was revised by CDE in collaboration with the Center for Prevention & Early Intervention (CPEI) at WestEd. 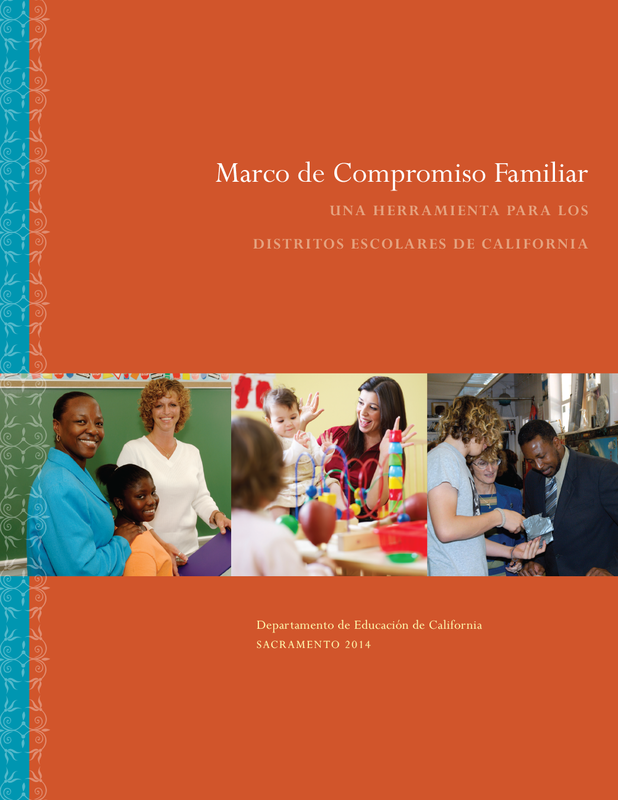 Download the Spanish language edition of the Family Engagement Framework. This What Works Brief, cowritten by WestEd's Maria Paredes and Meagan O'Malley, focuses on a key fundamental element of school improvement efforts: family engagement. School staff, parents, and community members alike will benefit from the strategies designed to help all students achieve academic success.